Follow my adventures and personal views on good gay travel and all that surrounds it. We have been using HTTPS (SSL) as an alternative to visit our website for the last months, but today we changed this to be a forced option. All visits to our website will now been encrypted between the server and your computer. Here in Sweden we just celebrated Stockholm Pride 2014. Took out my camera and captured a few glimpses of it to be able to share it with the bunch of you. If you didn't visit this year - be sure to book your tickets for next year! 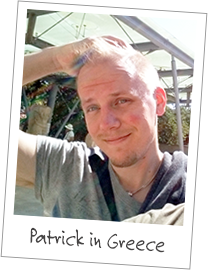 I'm Patrick - A swedish guy who loves to travel and all the experiences and connections it brings. I'll fill this blog with my personal views and experiences gathered from my trips.